Next week sees the launch of Afternoon Tea week in London, and to celebrate I thought I would round up some of my absolute favourites from across the capital. After all, an Afternoon Tea is one of life’s little luxuries; consisting of endless finger sandwiches, scones, and mountains of jam and cream, and often some of the prettiest cakes you’ll ever lay eyes upon. This British tradition is my absolute favourite – who can say no to drinking bottomless tea and eating cakes all afternoon, right?! It’s also a tradition that I’ve been lucky enough to sample a fair few of across our capital, and so I thought i’d offer you some tips for some of my favourite places to go. I’ll try to add to this whenever I can, so make sure you keep it bookmarked! Afternoon Tea at Gong within the Shangri La hotel certainly takes afternoon tea to new heights! Up on the 52nd floor of The Shard, it’s London’s highest tea, and is certainly a memorable experience. The kitchen will cater to the most obscure of dietary requirements, and still are able to whip up one of the most delicious teas I’ve ever tasted. Even the egg mayonnaise sandwich is given a luxurious twist with its truffle flavour, and the pastries include delights such as the Soft Chocolate Cream Carible, with chocolate sable Breton and banana compote, and the Yuzu – a baked and cold mousse cheesecake with yuzu juice soaked sponge and orange marmalade. A classic tea is £49, and with a glass of champagne, £57. The newly updated Afternoon Tea at The Sanderson is one that I always recommend to friends that have ‘seen and done it all’ and really want a unique experience. The tea is Mad Hatter’s themed, and the experience starts with you flicking through a vintage book to find the menu, napkins wrapped with riddles, and a whimsical themed tea with dainty sandwiches and ‘Tick Tock’ macarons, ‘Drink Me’ potions and Marshmallow Mushrooms. I wrote a post on the tea before the updated menu here, and the update is just another level of crazy fabulousness. Tea is priced between £38 and £58 per person. Although mostly renowned for their incredibly stunning hotel, The Corinthia is one of the absolute greatest teas in London. With the lobby area constantly filled with the most instagrammable of floral displays, it’s the kind of place you want to while away the afternoon, enjoying the daintiest of finger sandwiches, and a constantly changing pastry menu which always consists of the most beautifully crafted treats. We visited while they were serving their Chelsea Flower Show tea, and you can see more about it here. 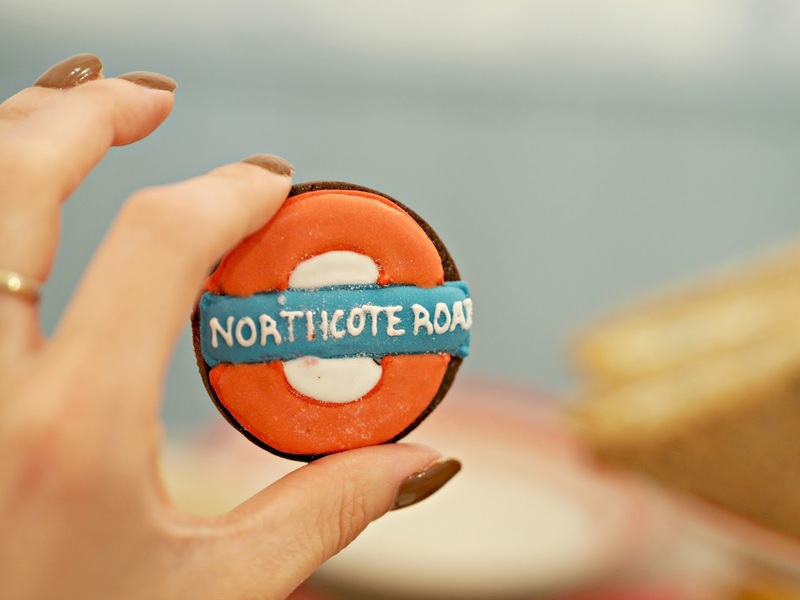 For a very reasonably priced, London themed tea that doesn’t have a bonkers waiting list, Biscuiteers is a perfect option. 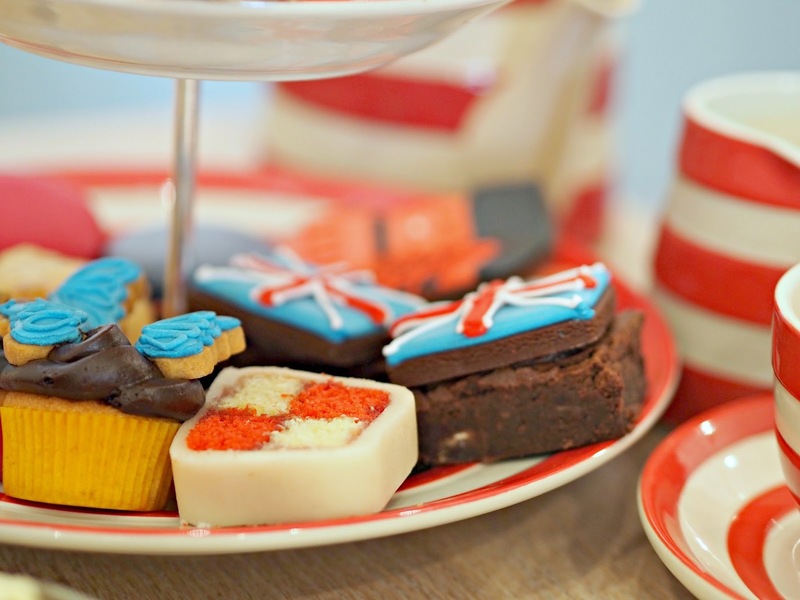 If your visitor is from out of town then they will adore the British twist to the cakes, with Union Jack brownies and a telephone box biscuit as my highlights! Tea for two is just £48, and includes sandwiches, cakes, biscuits and, of course, freshly baked scones and clotted cream. For more pictures and my full review, click here. And finally an Afternoon Tea which I still feel is very much under the radar, and one which again you can book in with just a few days notice (although probably not for long, as it’s so good!) is Afternoon Tea at 108 Pantry. Guests can enjoy the classic afternoon tea with all the guilty pleasures or a ‘healthy’ option with gluten free and low sugar options. The tea is specially selected from the Rare Tea company, and includes exotic blends all expertly explained to us by our very knowledgable server. 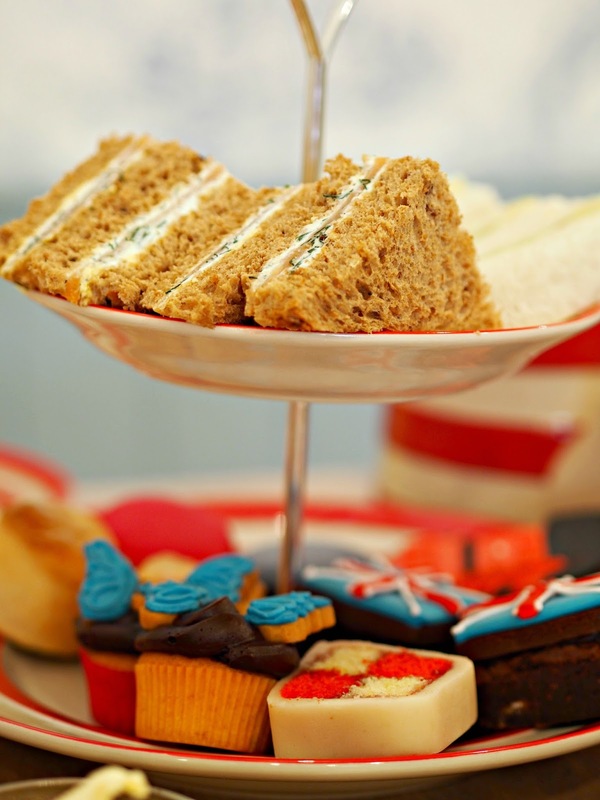 Where are your favourite Afternoon Teas in London?